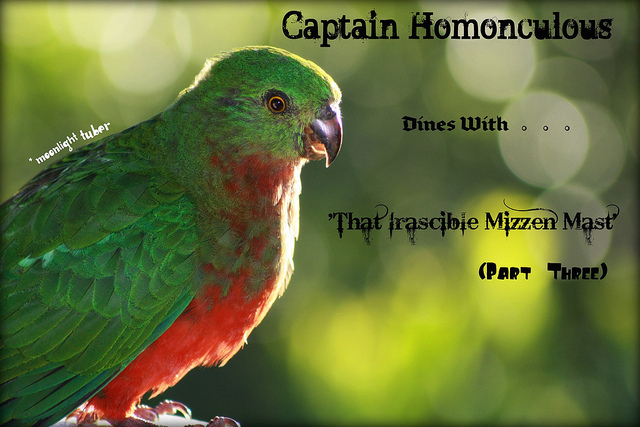 Welcome to Issue #2 of Moonlight Tuber, or, as it is colloquially known, “Captain Homonculous Dines with ‘That Irascible Mizzen Mast’ – Part Three”. You can read the stories online here, or you can download a pdf (perfectly dainty file) of the issue here. Enjoy! And remember… keep watching the tubers!